Need a productivity boost? Try the Batch Timesheet Entry feature in QuickBooks 2012 to enter hours for multiple employees (or Vendors) at the same time. Entering employee time in the Weekly Timesheet in QuickBooks is a painstakingly slow process, especially if you have a lot of employees – QuickBooks 2012 solves “some” of that with the new Batch Timesheet Entry feature, but it’s still not perfect or very flexible. Entering timesheets for multiple employees or vendors all at the same time will be a huge productivity booster for some companies – but only in very specific situations. These requirements only exist in a “perfect” world, one which seldom exists in a busy construction company! Here’s a YouTube video that shows you the Batch Timesheet feature in action and discusses some of the potential pitfalls that you can encounter. In the real world, the QuickBooks Batch Timesheet feature will not be much of a productivity booster for many construction companies – they will want a more robust solution that will solve nine (9) critical and missing needs for their QuickBooks employee time card entry processes. Automatic Overtime calculations, based on the laws that your state requires you to follow. The ability to create “crews or groups” of employees who regularly work on specific jobs or projects. Assign employees to the same group multiple times with different rates of pay OR assign employees to multiple crews. Enter time by crew, by job, by day; using ALL straight time hours – and post this back to your QuickBooks Weekly Timesheet. Enter timecards for hundreds of employees with a few clicks of your mouse. Eliminate the need to manually calculate or enter Overtime or Double time hours worked by each employee. Create a paid Holiday schedule and enter paid holidays automatically. Perform “Weighted-Average” overtime calculations automatically. Eliminate the need to manually update employee rates of pay. If you are looking for a more robust solution that eliminates the need for numerous manual calculations, check out Crew/Overtime Entry Solution – a QuickBooks integrated application designed specifically to solve real world problems. If you find this post to be helpful, please take a moment to leave a comment or share it with others on your favorite social networking site(s). Great post Nancy. Really good information. QuickBooks is actually be offered. 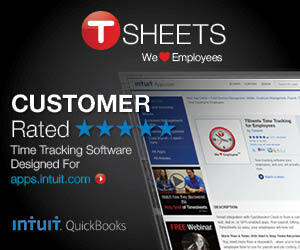 People should check it out only if they want to learn how use QuickBooks. Again great post.